Gives visual effects for alcoholic drinks and skooma. Also allows you too make all drinks and skooma. This is my first mod. It's a basic mod that gives effects to skooma. 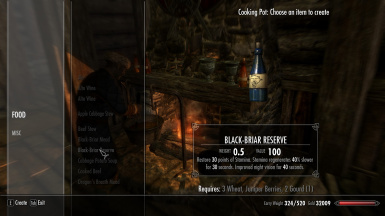 It also puts in recipes at cooking pots for alcoholic drinks and skooma. Skooma is found under MISC at the cooking pot. Let me know if I missed a drink, I think I got them all though. I have added an addiction like effect for skooma as a file you can download. This will be updated and given better effects once the CK is released. I have not been able to fix a problem with the effect from the alcohol so in version 1.4 the alcohol visual is pretty much gone and won't be back until I can get it fixed. 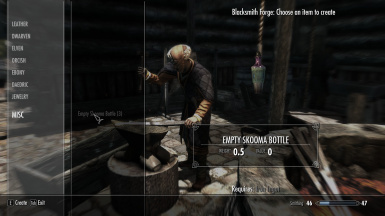 The skooma addiction like effect file adds an "addiction" aspect to skooma. While you still don't get addicted to it, it does give long term negative effects. After taking skooma the player will receive an increase in health and stamina for 90 seconds. After that 90 seconds the player will go in to a "withdrawl" stage where they will get a decrease in health and stamina for a longer amount of time. This obviously makes the player weaker and therefor wanting more skooma which give the "addiction" effect. The same goes for double distilled skooma but the increases last for 120 seconds and the "withdrawl" stage lasts longer. This seems to be about the best I can do without the creation kit right now. Because this gives the fortify effects it makes the skooma rather expensive right now. The UnderTheInfluence file gives skooma restore health and stamina. The Expensive Skooma file gives fortify health and stamina but makes the price go up a lot right now. Still working on getting this down to a better price. 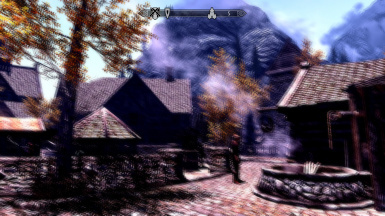 -per request I have added the wabbajack effect to skooma. Keep in mind this casts on the player so it MAY CAUSE INSTANT DEATH, but then again the risk might add to the fun of skooma. I know there are mods out there that do pretty much the same thing but this is all of them put together in one with a few things added. That being said, if you want a certain part of my mod try these and see if it's what you are looking for. NOTE: If you decide this is the worst mod ever and hate it so much, be sure you save your game with no visual effects happening BEFORE you delete it. When I save with the effects on then restart the game without the esp the effects are still there and don't seem to go away.